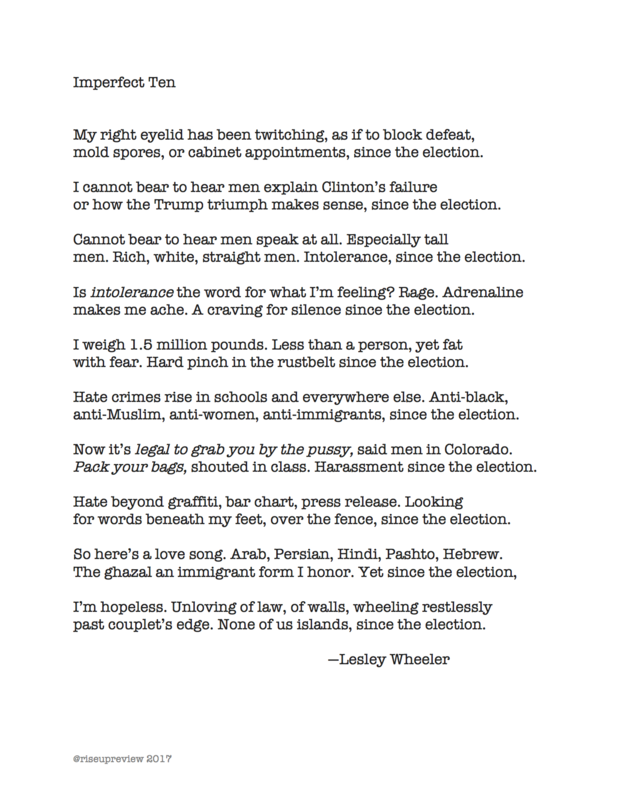 Lesley Wheeler is the author of four collections, including Radioland and Heterotopia, winner of the Barrow Street Press Poetry Prize. Recent poems and essays appear in Crab Orchard Review, Ecotone, and Poetry, and she blogs at http://lesleywheeler.org/. Wheeler is the Henry S. Fox Professor of English at Washington and Lee University in Lexington, Virginia.